Visa requirements for Indian citizens are administrative entry restrictions by the authorities of other states placed on citizens of India. As of 26 March 2019,[update] Indian citizens had visa-free or visa on arrival access to 60 countries and territories, and ranking the Indian passport 80th in terms of travel freedom according to the Henley Passport Index. Bangladesh and India both agreed to grant visa on arrival to each other's citizens who travel with Diplomatic or Official passports in June 2013. Due to this bilateral agreement, Diplomatic Passport and Official Passport holders are eligible for a visa on arrival if entering by air, road or sea but not train. The requirement for a visa was removed by Indonesia in July 2017, Qatar in August 2017, Serbia in September 2017, Tunisia in October 2017. Visa free status was granted to parts of the Russian Far East: Primorye and the rest of Khabarovsk, Sakhalin, Chukotka and Kamchatka regions in 2018. Australia started offering an online, e600 visitor visa to Indian passport bearers in July 2017. Kyrgyzstan followed suit with online visitor visas in September 2017, Armenia in November 2017, and both Vietnam and Uzbekistan in 2018. All Indian passport bearers became eligible for a visa on arrival for Gabon in October 2017, Rwanda in January 2018, Zimbabwe, Angola and Jordan in February 2018, the Bahamas (but only with a valid Schengen, UK, US or Canadian visa) on 24 April 2018 and Iran on 22 July 2018. Eligible Indian travellers can now participate in the Global Entry program for expedited entry into the United States. France abolished airport transit visas (ATV) for Indian nationals after 23 July 2018. Bangladesh and India both agreed to abolish visa application fees for each other's citizens in 2018. Thus Indian passport holders, who apply for a Bangladeshi visa in India, do not have to pay any visa application fee. Myanmar has announced visa-on-arrival for Indian tourists entering the country through the international airports of Nay Pyi Taw, Yangon and Mandalay beginning 12 December 2018. Kazakhstan has introduced a procedure for obtaining a single entry visa in electronic format from 1 January 2019. Visa fee waived for regular or ordinary Indian passport holders. Andorra has no visa regime, but is only accessible through France and Spain. Visa free for a maximum stay of 30 days for valid visa holders or residents of Canada, the Schengen Area member states, UK and US. Visa free of charge for Indian and Moroccan passport holders. Indian passport holders with a valid US B2 visa or a European type C Schengen visa can avail an electronic travel authorization for the purposes of tourism. Transit visa: required, can apply online. Visa on arrival for all Indian nationals who have valid Schengen, UK, US, and Canadian visas. 14 days to 1 year multiple entry visa (max stay 90 days). Visa on arrival for Gulf Cooperation Council residents. Due to bilateral agreements, Diplomatic Passport and Official Passport holders are eligible for a visa on arrival if entering by air, road or sea but not train. Visa fee waived for regular or ordinary passport holders who apply in India. National visa may be substituted with a Schengen visa or a national visa of country of EU, and if arriving and departing via Minsk International Airport. Permanent residents and holders of multiple entry visa of the US or Canada may obtain a visa on arrival. Holders of a valid visa issued by a Schengen Member state are visa exempt for a maximum stay of 90 days. Indian nationals may also use their Voter ID card with photograph or Indian Passport to enter Bhutan by air and land. National visa may be substituted with a US permanent resident card; Travelers with a US permanent resident card arriving by air require an Electronic Travel Authorization (ETA). Tourism/business visas (B1/B2) from the United States of America, with at least 6 months of validity, could travel to Chile without visa. hold confirmed air, cruise ship or train tickets to a third-country final destination. depart Mainland China on a flight, cruise ship or train within 24 hours after arrival. The 24-hour transit rule allows multiple stops within Mainland China for most airports, as long as the traveler has a flight, cruise or train segment leaving Mainland China in 24 hours, so it is possible to enter through a port of entry in China, take multiple segments of domestic flights within China, and depart from a different port of entry in less than 24 hours. Multi-stop transit is not allowed in some airports listed below. Urumqi Diwopu International Airport: Passengers in transit are permitted to remain in the airport for a maximum period of 2 hours. Multi-stop transit is not permitted. The airport also maintains an individual list of nationalities not eligible for visa-free transit. National visa may be substituted with a valid C or D visa issued by a Schengen Area member state or a valid visa (with 180 days left) issued by the US (except for C1 transit visas). National visa may be substituted with a valid visa issued by the US or with a multiple-entry visa issued by Canada or a member state of the European Union. Eligible to travel to Cuba with a tourist card if they also hold a valid visa or a residence permit issued by Canada, the United States or an EU member state. National visa may be substituted with a double or multiple entry C visa issued by Bulgaria, Croatia, Romania or a Schengen Area member state. Visa on arrival also available at Djibouti–Ambouli International Airport until 30 April 2018. National visa may be substituted with a valid visa issued by Canada, US or any EU member state. National visa may be substituted with a valid visa or residence permit issued by USA, UK, Japan, Canada, Australia, New Zealand, Israel, South Korea, Schengen, and GCC countries, whose holders may be granted visa-free entry for 30days. Holding any valid visa or residence permit issued by USA, UK, Japan, Canada, Ireland, Schengen or Bulgaria, Romania, Croatia, Cyprus, Liechtenstein. Holders of a residence permit in Andorra, Monaco, or San Marino. National visa may be substituted with a valid visa issued by Canada, the US or a Schengen Area member state. 30 days for tourism purposes. National visa may be substituted with a UK C visa holders until October 2021. Entry permitted only if first point of entry to the Common Travel Area is in the UK. May transit without a visa. Visa fee is refunded if any case visa rejected. Visa fee INR 510 only for Indian citizens. Visa not required if transiting with Air Astana (KC) at Almaty (ALA) or Astana (TSE) for a maximum stay of 72 hours with a stamped visa of the final country (until 31 December 2019). Holders of invitation issued by the Migration Service of Kazakhstan can apply for a visa online since January 2019. Visa Validity 90days with Multiple entries. Visa free transit (up to 30 days) provided holding a valid US, Canada, Australia, New Zealand Visa, and arriving from or departing to those countries. In addition to a visa, an approval should be obtained from the immigration department of the General Directorate of General Security (La Sûreté Générale). Visa on arrival is also issued if arriving from Thailand, Singapore or Indonesia and holding a valid visa for any of those countries. National visa may be substituted with a valid visa or permanent residence documents issued by the US, Canada, Japan, UK or Schengen Area member state to enter Mexico for tourism, transit, or business purposes. National visa may be substituted with a valid visa issued by a Schengen Area member state, UK, Ireland or the US visa. Visa on arrival can be issued for tourism at Yangon, Nay Pyi Taw or Mandalay airport and is valid for 30 days. Indian nationals may also use their Voter ID card with photograph or Indian Passport to enter Nepal by air and land. Indian citizens may live and work freely in Nepal under the terms of the 1950 Indo-Nepal Treaty of Peace and Friendship. This treaty is implemented in law through section 14 of the Nepal Immigration Act 1992, regulations 3, 20 and 44A of the Nepal Immigration Regulation 1994, and section 8.4 the Nepal Immigration Procedures 2008. National visa may be substituted with an Australian permanent residence documents. Nationals of India with a normal passport and a valid visa issued by Canada, the USA or a Schengen Member State can obtain a visa on arrival for a maximum stay of 30 days. Fee $10. National visa may be substituted with a valid double or multi entry C visa issued by a British, Canadian or U.S. visa or Schengen Area member state for max stay of 15 days. Need onward tickets. National visa may be substituted with a GCC visa of certain categories (managers, sales executives, etc.) when a visitor visa on arrival can be granted if the visitor is coming directly from a GCC country via air or land. All passengers from India, who reside in or hold an entry visa to one of the following countries (USA, Canada, Australia, UK and Schengen states) are allowed to obtain non-sponsored electronic tourist visa to enter Oman. National visa may be substituted with a valid US, Canada, Australia, Schengen Area or UK visa or permanent resident permit may be granted visa-free entry for a maximum of 180 days. The visa must be valid for a minimum of 6 months from the arrival date. National visa may be substituted with a valid US, Japanese, Australian, Canadian, Schengen, Singapore or UK visa or permanent resident permit whose holders may be granted visa-free entry for an initial stay not exceeding 14 days. National visa may be substituted with a double or multiple entry C visa issued by a Schengen Area member state valid for the period of intended stay. Visa not required if visiting Saint Petersburg for up to 72 hours via ferry from Finland. Same rules as for Italy. No border control but accessible only via Italy. National visa may be substituted with a US or a Schengen member state visa for stays up to 15 days. 30 days within one year. May obtain online eVisa through eligible authorized travel agencies or through local sponsors (Singapore citizen or permanent residents). Indian nationals with valid visa from countries such as UK, USA, Canada, Japan, Australia, New Zealand, Germany and Switzerland who are in transit to or from any third country by air may be conditionally eligible for 96-hours Visa Free Transit Facility (VFTF). Available at Johan Adolf Pengel International Airport. eVisa holders can enter through all border points. Thailand providing e-visa on arrival. Visa fee of 2000 THB is payable upon entry. Visa must be obtained at the first point of entry. Visa charge is waived until 30 April 2019. Conditional eVisa issued for the period of 30 days to holders of a valid visa or residence permit issued by one of the Schengen member countries, US, UK, or Ireland. Letter of invitation issued by a company registered in Turkmenistan and approved by the Ministry of Foreign Affairs can obtain a visa on arrival for a maximum stay of 10 days. They can apply to extend their stay for an additional 10 days. USA valid visa or green card which is valid for a minimum of 6 months can obtain a visa on arrival for a maximum stay of 14 days. They can apply to extend their stay for an additional 14 days. Indian passport holder with a valid UK or EU residence permit can also avail visa on arrival for 14 days, which can also be extended. Visitors normally require a sponsor but visas can also be arranged online through an airline if they are arriving on Air Arabia, Air Astana, Emirates, Etihad (and Air Baltic and Air Serbia), flydubai, Turkish Airlines and Indigo Airlines. Visa not required if holding a biometric Irish visa endorsed with "BC BIVS" and with a valid Irish entry stamp. Other exemptions apply for Visa-free Direct Airside Transit. Visa issued free of cost. Kosovo Visa required Schengen zone visa or residence permit valid for 15 days. Serbia will not recognize the entry if coming from Kosovo without entering it first via Serbia. No Visa needed, if a holder of a valid travel documents issued by EU Member and Schengen States, United States of America, Canada, Australia and Japan. Nagorno-Karabakh (Artsakh) Visa required Travellers with Nagorno-Karabakh visa (expired or valid) or evidence of travel to Nagorno-Karabakh (stamps) will be permanently denied entry to Azerbaijan. Taiwan Visa required 30 day online travel authority is available to the citizens of India with permanent residency or valid visa or expired, of Australia, Canada, Japan, New Zealand, Schengen Convention countries, United Kingdom or United States. But it must not have expired for more than 10 years prior to the date of arrival in Taiwan as well as visas marked "void", "canceled" or "canceled without prejudice" are not eligible. Aruba Visa required Visa not required if holding a valid multiple-entry visa issued by Canada or USA. Anguilla Visa required Visa required, except for holders of a visa issued by the United Kingdom. Bermuda Visa required Visa required, except for a maximum stay of 3 months for holders of a multiple-entry visa issued by Canada, USA or the United Kingdom, valid for at least 45 days beyond the period of intended stay in Bermuda. Cayman Islands Visa required Visa not required for permanent residents or holders of visas issued by the US, Canada or the UK, arriving directly from that country, except that residents of Canada may arrive from the US or Canada. Gibraltar Visa required UK Visa (6 months or more), or Permanent Residence Permit from a Schengen country or Multiple entry Schengen visa covers entry. 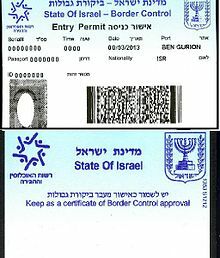 A non-permanent Schengen Residence Permit does not cover entry. Pitcairn Islands Visa not required 14 days visa free and landing fee US$35 or tax of US$5 if not going ashore. Puerto Rico Visa required Visa not required if holding a valid multiple-entry visa issued by USA. Belarus. Belovezhskaya Pushcha National Park – Visa not required for 3 days; must first obtain an electronic pass. Crimea – Visa issued by Russia is required. Galápagos – Online pre-registration is required. Transit Control Card must also be obtained at the airport prior to departure. Mount Athos – Special permit required (4 days: 25 euro for Orthodox visitors, 35 euro for non-Orthodox visitors, 18 euro for students). There is a visitors' quota: maximum 100 Orthodox and 10 non-Orthodox per day and women are not allowed. Sarawak – Visa not required. These states have their own immigration authorities and passport is required to travel to them, however the same visa applies. Russia – Several closed cities and regions in Russia require special authorization. South Korea Jeju Island – Visa free entry for 30 days for Indian citizens provided arriving directly at Jeju Island. The Indian Government has not drafted any laws to mandate reciprocity in visa agreements with other countries. While a very small number of bilateral agreements have concluded with reciprocity for visa arrangements, a large number of visa relationships continue to be highly skewed to one side or the other. In 2015, Iran revoked visa-on-arrival for Indian citizens after it was included as one of the eight countries in India's Prior Reference Category, which would be excluded from India's visa liberalisation plans for foreign tourists. The other countries on the list at the time were Pakistan, Afghanistan, Iraq, Somalia, Nigeria and Sudan. ^ a b c d e f Counting only guests in tourist accommodation establishments. ^ a b Data for arrivals by air only. ^ Total number includes tourists, business travelers, students, exchange visitors, temporary workers and families, diplomats and other representatives and all other classes of nonimmigrant admissions (I-94). ^ "The Henley Passport Index" (PDF). Henley & Partners Holdings Ltd. 26 March 2019. Retrieved 14 April 2019. This graph shows the full Global Ranking of the 2019 Henley Passport Index. As the index uses dense ranking, in certain cases, a rank is shared by multiple countries because these countries all have the same level of visa-free or visa-on-arrival access. ^ a b c "MEA Visa Waiver Agreements". mea.gov.in. Ministry of External Affairs, Government of India. June 2013. ^ "www.Qatarvisaservice.com". www.Qatarvisaservice.com. Retrieved 2018-07-27. ^ "The Decision on visa exemption for the nationals of the Republic of India, holding ordinary passports". www.mfa.gov.rs. ^ "Об утверждении перечня государств, для граждан которых устанавливается упрощённый порядок въезда в Россию через пункты пропуска свободного порта Владивосток". m.government.ru. ^ "Assistant Minister – Online Visitor visa lodgement for Indian nationals". www.minister.border.gov.au. ^ "English – VietNamNet News". m.english.vietnamnet.vn. ^ "Travel News – Uzbekistan to extend e-Visa facility for India starting July | TravelBiz Monitor". www.travelbizmonitor.com. Retrieved 10 May 2018. ^ "Oman Announces Visa On Arrival Scheme For Indians". Little India: Overseas Indian, NRI, Asian Indian, Indian American. 2017-10-06. Retrieved 2017-12-16. ^ "India and Chile exchange three MoUs for cooperation". 2019-04-02. ^ Africtelegraph (13 October 2017). "Le Gabon assouplit sa politique de délivrance de visas". ^ AfricaNews. "Zimbabwe announces new visa regime – Africanews". ^ "Angola offers visa on arrival to nationals from 61 countries". 27 February 2018. ^ "King Abdullah in India: Jordan announces visa on arrival for Indians". India Today. 28 February 2018. Retrieved 4 March 2018. ^ a b http://mofa.gov.bs (2018-04-24). "Visa Facilitation for Indian Nationals – Ministry of Foreign Affairs – Bahamas". Ministry of Foreign Affairs – Bahamas. Retrieved 2018-07-24. ^ "Iran Offers On-Arrival Visa to Indian Citizens". 22 July 2018. ^ "MoU between Government of India and Government of the United States for the Development of an International Expedited". ^ "Airport Transit Visa (ATV)". ^ a b "Machine Readable Visa (MRV)". www.bdhcdelhi.org. Bangladesh High Commission in New Delhi. Archived from the original on 24 January 2019. ^ "Myanmar To Grant Visa-On-Arrival To Indian Tourists: President Kovind". ^ "Identity documents". Ministry of Foreign Affairs and Institutional Relations – Government of Andorra. Retrieved 2 May 2011. ^ "INFORMATION CONCERNING VISAS (fees, application form, general considerations and specific requirements) | Embajada en REPÚBLICA DE LA INDIA". eindi.mrecic.gov.ar. Retrieved 2018-07-04. ^ "Home Page – The Electronic Visa System of Azerbaijan Republic". evisa.gov.az. ^ "Bahrain Electronic Visa Service". ^ "Национальный правовой Интернет-портал Республики Беларусь". www.pravo.by. ^ "Visa for coming to Bhutan". Archived from the original on 2015-03-16. Retrieved 2015-06-11. ^ "Cambodian visa requirements for Indians". Blog.Pickyourtrail.com. Retrieved 20 December 2017. ^ "I have U.S. residency (Green Card). Do I need a visa or an eTA to visit Canada or can I use my Green Card?". ^ "Ciudadanos chinos que tengan visado Schengen o de los Estados Unidos, no deberán tramitar visa para ingresar a Colombia". Cancillería. ^ Fave, Annie. "Un e-visa pour Djibouti". ^ "Ministerio de Relaciones Exteriores de El Salvador – Inicio". ^ "The Irish Short-stay Visa Waiver Programme" (PDF). ^ "Постановление Правительства Республики Казахстан "О внесении изменения в постановление Правительства Республики Казахстан от 21 января 2012 года..."". base.spinform.ru. ^ "Enjoy 72-hour Visa-Free Regime in Kazakhstan". ^ eCitizen. "eCitizen – Gateway to All Government Services". ^ "25 No-Visa Entry Policy for Indians (Revise)". Archived from the original on 2018-03-12. ^ "visa lesotho tourism documents travel evisalesotho.com". Lesotho E-Visa. ^ "Malaysian Visa Information – India – Visa on Arrival (VOA)". www.vfsglobal.com. Retrieved 12 July 2016. ^ "Non-Existent Domain". Archived from the original on 30 May 2016. Retrieved 20 July 2016. ^ "Mozambique Government Announces 30-day Tourist Visas now Available at Borders for all Visitors – Mozambican Hotels". www.mozambicanhotels.com. ^ "Myanmar Visa on Arrival". Retrieved 2018-01-12. ^ "Nepal Immigration Manual" (PDF). Retrieved 2 March 2019. ^ Service, corporatename = New Zealand Immigration. "New Zealand Immigration Service". glossary.immigration.govt.nz. ^ "Entry Visa for the Republic of Macedonia". Republic of Macedonia Ministry of Foreign Affairs (in Macedonian). Retrieved 2017-07-26. ^ "Oman eases visa rules for tourists from Russia, India and China to boost tourism". ^ "Panama Embassy". Archived from the original on 2014-06-30. ^ Panama, Government of. "Panama adopts new immigration measures to enhance tourism and trade with Europe and other emerging countries". www.prnewswire.com. Retrieved 10 May 2018. ^ "The Embassy of Panama in Washington D.C."
^ "Travel News – PROMPERÚ hosts Trade FAM for Indian travel agents – TravelBiz Monitor". travelbizmonitor.com. ^ "Visa-Free Entry of Indian Nationals with AJACSSUK Visa" (PDF). ^ "Visa free rule – Peterline". stpeterline.com. ^ "For Foreigners Visiting Singapore". MFA Singapore. ^ "Visa Free Transit Facility (VFTF) – Travellers who are nationals of India". MFA Singapore. ^ "Visa Free Transit Facility (VFTF) – Travellers who are nationals of India". ICA Singapore. ^ "Tajikistan e-Visa". Retrieved 20 July 2016. ^ "Visa on Arrival – vfs-thailand.co.in". vfs-thailand.co.in. ^ "Electronic Visa Application System". Electronic Visa Application System. Retrieved 2017-04-05. ^ "Visa on arrival". UAE Government (government.ae). ^ "UK Direct Airside Transit Visas Exemptions". ^ "Visa service". Retrieved 31 March 2019. ^ "OFFICIAL ELECTRONIC VISA PORTAL OF THE REPUBLIC OF UZBEKISTAN". mfa.uz. Retrieved 14 July 2018. ^ "e-Visa". Alfa XP Software Company. ^ "Home". Retrieved 20 July 2016. ^ "MINISTRY OF FOREIGN AFFAIRS REPUBLIC OF ABKHAZIA". Archived from the original on 24 April 2016. Retrieved 3 May 2016. ^ "Do You Need Kosovo Visa? – For Foreign Citizens – Consular Services – Ministry of Foreign Affairs – Republic of Kosovo". Ministry of Foreign Affairs – Republic of Kosovo. ^ "Visas For Foreign Citizens – For Kosovo Citizens – Consular Services – Ministry of Foreign Affairs – Republic of Kosovo". Ministry of Foreign Affairs – Republic of Kosovo. Archived from the original on 2013-03-10. ^ "Kiev declares passport control on border with rebel-held regions". RT International. ^ "Ukraine crisis: Kiev imposes passport control around rebel-held regions". ABC News. ^ "Practical travel information on Visas in Somaliland, Puntland & Somalia – Lonely Planet Travel Information". lonelyplanet.com. Archived from the original on 6 November 2014. Retrieved 23 July 2014. ^ "Procedure of the Entry to the Territory of the Republic of South Ossetia – Министерство иностранных дел". www.mfa-rso.su. ^ "О визах – Министерство иностранных дел". mfa-rso.su. ^ "Procedure of the Entry to the Territory of the Republic of South Ossetia – Министерство иностранных дел". mfa-rso.su. ^ "Luxlana.net". luxlana.net. Archived from the original on 5 February 2007. Retrieved 5 February 2007. ^ "Rules and recommendations – Transnistria tour". transnistria-tour.com. ^ "Passport and visa". Visit Faroe Islands. Archived from the original on 20 July 2014. Retrieved 30 July 2014. ^ "Short-stay visa waiver for Indian tourists visiting the French Island of (...) – La France en Inde / France in India". La France en Inde / France in India. ^ "Visa info". www.immigration.gov.ky. Retrieved 2 February 2016. ^ List of countries, Department of Immigration of the Cayman Islands. ^ "Montserrat Online Visa Application". ^ "Ashmore Reef and Cartier Island Marine Reserves – Information for Visitors". Retrieved 4 August 2017. ^ "Visa-free trips to Belovezhskaya Pushcha as from 12 June". Archived from the original on 2016-01-30. Retrieved 2017-12-09. ^ "VISA-FREE TRAVEL THROUGH THE CHECKPOINT "PEREROV – BIALOWIEZA" FOR FOREIGN CITIZENS". Archived from the original on 2015-07-15. Retrieved 2017-06-29. ^ a b Abdi, SNM (2015-08-10). "Sulking Iran is bad news for India: Modi govt needs to soothe Tehran's ruffled feathers". Firstpost. ^ "Statistical Yearbook - Department of Commerce". ^ "Tourism Statistics - IAATO". iaato.org. Retrieved 26 March 2018. ^ "Tourism Statistics for Antigua and Barbuda". antiguahotels.org. Retrieved 26 March 2018. ^ "Number of foreign citizens arrived to Azerbaijan by countries". ^ "Tourisme selon pays de provenance 2016". ^ Namgay, Phunstho. "Annual Reports - Tourism Council of Bhutan". www.tourism.gov.bt. ^ "INE - Instituto Nacional de Estadística - Turismo". ^ "Statistics Botswana". Statistics Botswana. Retrieved 26 March 2018. ^ "Tourism Statistics Report". www.tourismcambodia.org. Retrieved 26 March 2018. ^ "Service bulletin International Travel: Advance Information" (PDF). statcan.gc.ca. ^ CIDOT. "Welcome to the Cayman Islands Department of Tourism (CIDOT) Destination Statistics Website". www.caymanislands.ky. Retrieved 26 March 2018. ^ Mehta, Shriji (18 October 2018). "Documents Required for Passport in India". Retrieved 24 October 2018. ^ "China Inbound Tourism Statistics in 2015". www.travelchinaguide.com. Retrieved 26 March 2018. ^ "Tourists in China by country of origin 2016 - Statistic". Statista. ^ "Informes Estadísticos - Instituto Costarricense de Turismo - ICT". www.ict.go.cr. Retrieved 26 March 2018. ^ "2015 Visitors Statistics Report" (PDF). tourism.gov.dm. Retrieved 26 March 2018. ^ "BCRD - Estadísticas Económicas". www.bancentral.gov.do. Retrieved 26 March 2018. ^ "Données détaillées". www.ispf.pf. Retrieved 26 March 2018. ^ "Visitor Arrival Statistics - Research - Research and Reports". www.guamvisitorsbureau.com. Retrieved 26 March 2018. ^ "TOURISM IN HUNGARY 2016". ^ "IAGGIATORI STRANIERI NUMERO DI VIAGGIATORI". ^ "2015 Foreign Visitors & Japanese Departures" (PDF). jnto.go.jp. Japan National Tourism Organization. Retrieved 26 March 2018. ^ "Tourist Overnight and Same Day Visitors By Nationality during". ^ "Туризм в Кыргызстане - Архив публикаций - Статистика Кыргызстана". www.stat.kg. ^ "Statistical Reports on Tourism in Laos". ^ "TUG02. Visitors staying in hotels and other accommodation establishments by country of residence-PX-Web". csb.gov.lv. Retrieved 26 March 2018. ^ "Arrivals according to nationality during year 2016". ^ "DSEC - Statistics Database". www.dsec.gov.mo. Retrieved 26 March 2018. ^ "Publications - Statistiques". tourisme.gov.mg. 27 May 2015. Retrieved 26 March 2018. ^ "TOURIST ARRIVALS TO MALAYSIA BY COUNTRY OF NATIONALITY DECEMBER 2017" (PDF). tourism.gov.my. Retrieved 26 March 2018. ^ a b "December 2017 - Ministry of Tourism". www.tourism.gov.mv. Retrieved 26 March 2018. ^ "Visitantes internacionales por vía aérea por principal nacionalidad". sectur.gob.mx. Retrieved 26 March 2018. ^ "Table 4. Foreign tourist arrivals and overnight stays by countries, 2014" (PDF). monstat.org. Retrieved 26 March 2018. ^ "Myanmar Tourism Statistics 2015" (PDF). Central Statistical Organization. Ministry of National Planning and Economic Development. Archived from the original (PDF) on 29 December 2016. Retrieved 5 January 2016. ^ "International travel and migration: December 2017". Statistics New Zealand. Retrieved 2 February 2018. ^ "2016 Annual Tourism Performance Report" (PDF). visitqatar.qa. Retrieved 26 March 2018. ^ "Въезд иностранных граждан в РФ". Fedstat.ru. 2017-10-18. Retrieved 2017-10-18. ^ "Visitor Arrivals". www.stb.gov.sg. Retrieved 26 March 2018. ^ "Korea, Monthly Statistics of Tourism - key facts on toursim - Tourism Statistics". kto.visitkorea.or.kr. Retrieved 26 March 2018. ^ "Tabla23984". www.ine.es. Retrieved 26 March 2018. ^ "TOURIST ARRIVALS BY COUNTRY OF RESIDENCE 2016" (PDF). sltda.gov.lk. Retrieved 26 March 2018. ^ "Suriname Tourism Statistics" (PDF). www.surinametourism.sr. Retrieved 8 June 2018. ^ "Swaziland Tourism - Swaziland Safari - Swaziland Attractions - Useful Links - Research". www.thekingdomofswaziland.com. Retrieved 26 March 2018. ^ "Visitor Arrivals by Nationality". taiwan.net.tw. Retrieved 26 March 2018. ^ "The 2016 International Visitors' Exit Survey Report. International Tourist Arrivals. pp. 73–77" (PDF). nbs.go.tz/. NBS Tanzania. Retrieved 18 December 2017. ^ "สถิติด้านการท่องเที่ยว ปี 2560 (Tourism Statistics 2017)". Ministry of Tourism & Sports. Retrieved 16 January 2018. ^ "NUMBER OF ARRIVING-DEPARTING VISITORS, FOREIGNERS AND CITIZENS December 2017". ^ "Foreign citizens who visited Ukraine in 2017 year, by countries". ^ "Annual estimates on visits and spending in the UK by overseas residents, by purpose and region of visit". Office of National Statistics. ^ "Table 28. Nonimmigrant Admissions (I-94 Only) By Selected Category Of Admission And Region And Country Of Citizenship: Fiscal Year 2016". dhs.gov. 16 May 2017. Retrieved 26 March 2018. ^ "Распределение въехавших в Республику Узбекистан иностранных граждан по странам в 2015 году". data.gov.uz. Retrieved 12 March 2018. ^ "Tourism Trends and Statistics 2015 Annual Report – Zimbabwe A World Of Wonders". www.zimbabwetourism.net. Retrieved 26 March 2018.